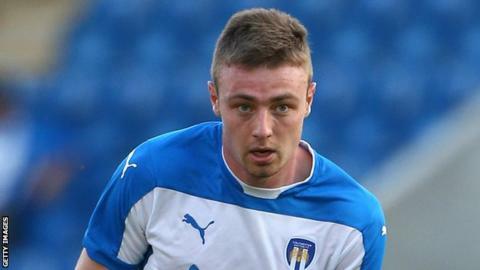 Colchester United are in talks about a new deal with in-form striker Freddie Sears and have also offered goalkeeper Sam Walker a two-year contract. Former West Ham forward Sears, 24, has scored eight goals this season. "He's an important part of where we see the club going and we want him with us," boss Tony Humes told BBC Essex. Ex-Chelsea youngster Walker, 23, has not missed a league game since January 2013, but, like Sears, is out of contract in the summer. "An offer has gone out to Sam Walker as well for the next two years so we'll see what happens with him," said Humes. Sears joined Colchester on a permanent deal in the summer of 2012 and his eight goals this term have come in his last 13 games. He was expected to have a top-flight career after breaking into the West Ham side as an 18-year-old and scoring on his debut, but only made 58 appearances for the Hammers, most of them from the bench, before being allowed to leave Upton Park. "His form will alert other clubs, but I think everyone has known for years he's a good player and a goalscorer," said Humes. "He's playing with a smile on his face and enjoying his football. The decision is down to Freddie, but hopefully he feels the club is moving forward and with this group of players he can achieve something."